The goal of this project is to define the mechanisms that determine the interdependencies between the parasitic nematode Brugia malayi and its bacterial endosymbiont, Wolbachia. We are using dual RNAseq to characterize the transcriptomes of both the worm and the bacteria and determine which pathways underlie this essential relationship. In doing so, we hope to learn to exploit this dependency and identify novel drug targets. Clustering of stages and Wolbachia DE genes. Hierarchical clustering of Wolbachia DE genes and developmental stages, L4 through 120 days post infection (dpi) male (M) and female (F), based on gene expression in normalized FPKMs. 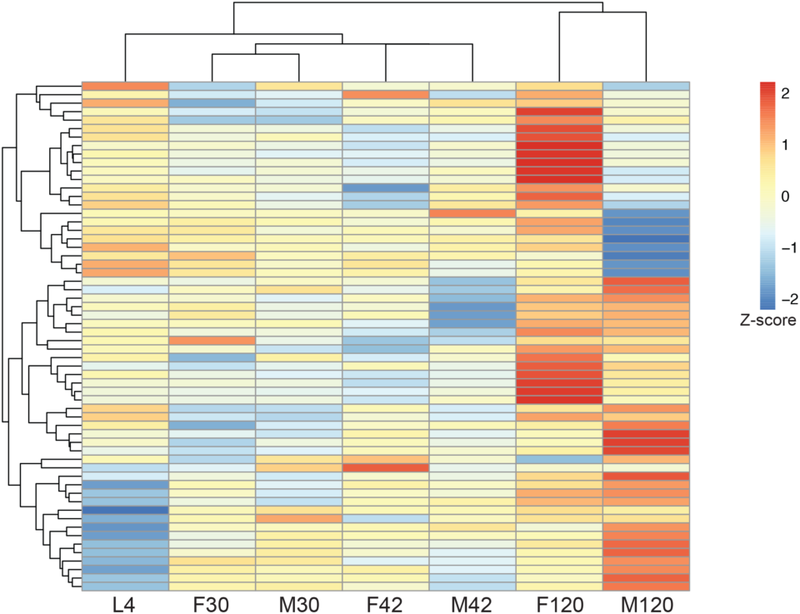 Expression values were scaled prior to clustering using a Z score calculation, with red representing high expression and blue representing low expression. Biological replicates were combined prior to clustering. The co-expression network for B. malayi and Wolbachia. The network heatmap plot of network connectivity for B. malayi and Wolbachia calculated using weighted gene correlation network analysis (WGCNA). 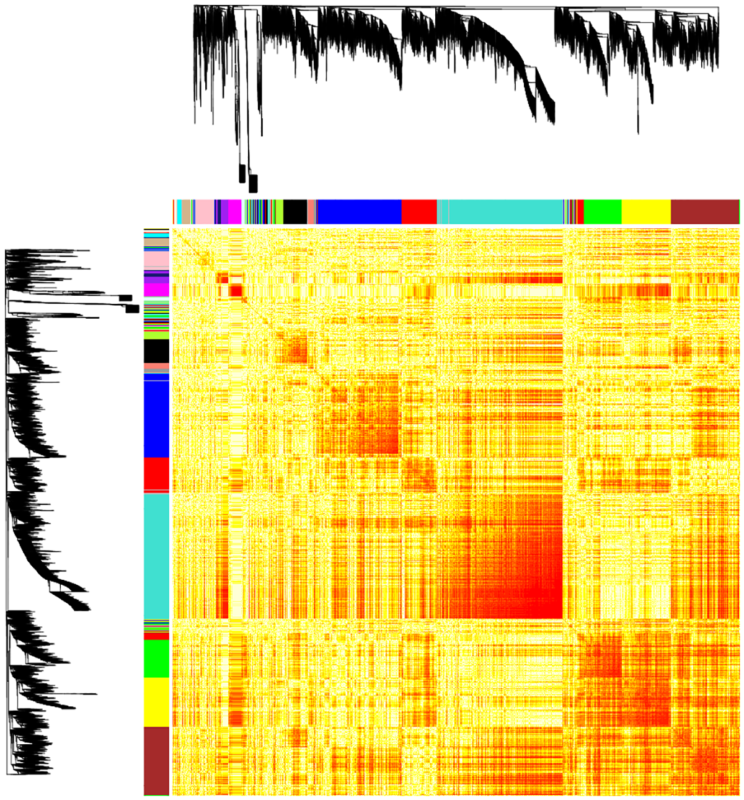 The black branches show the hierarchical clustering dendrograms, which were assigned to clusters using dynamic tree cutting to identify modules of co-expressed genes, shown as colored bars. High co-expression interconnectedness is indicated by increasingly saturated orange and red coloring. Modules correspond to groups of highly interconnected genes.